Painting, Cabinet des Peintures, Château, Fontainebleau. In 1625 Cassiano del Pozzo identified in the Cabinet des Peintures at Fontainebleau “un ritratto d’una Regina di Napoli” as by Rosso (Pozzo-Müntz, 1886, 268; Kusenberg, 1931, 102, 201, n. 232). This seems to be the same painting mentioned in an inventory of 1625 in Paris of LES PLVS RARES PEINTVRES DE FONTAINEBLEAU as “La Reyne Jeanne qu’ils appellent de Sicilie, de Rosso [il s’y est trouvé escript Rubens fecit],” as transcribed in Ricci, Seymour de, “Extrait d’un ms. de Peiresc (Bibliothèque Nationale, fonds latin 8957, f. 128),” Revue archéologique, 3rd series, XXXV, 1899, “Nouvelles archéologiques et correspondance,” 342 (kindly brought to my attention by Professor Janet Cox-Rearick). Either Ricci’s transcription is faulty or the manuscript is wrong, for the signature on the picture would have to have been Rubeus fecit, as given by Béguin in Cox-Rearick, 1972, 5, if the painting was Rosso’s. Dimier, 1904, 72, suggested that it might be one of the first pictures mentioned by Vasari that Rosso did for Francis I. Cox-Rearick, 1972, 35, thought this “signed female portrait” probably came from the collection of Francis I. It is clear that these references have not confused this painting with Raphael’s Portrait of Giovanna of Aragon in the Louvre, for that picture is also mentioned by Pozzo (as “Regina Giovanna di Napoli”) and appears in the inventory of 1625 (as “La reyne Jane d’Aragon”) along with the work given to Rosso. In 1984 Sylvie Béguin kindly showed me a photograph of a Portrait of Queen Giovanna of Sicily, formerly in the Behrman Collection and since 1980 in a private collection in Paris, that is inscribed at the upper right: IEHANE ROYNE DE / SICCILLE (Fig.Giovanna d’Aragona). According to Béguin the painting is rather large. A transparency of it shows the sitter seen to below the waist with her right hand touching her upper abdomen and wearing a large tan and gray turban-like headdress covered by a pleated transparent veil that falls to her shoulders and a red dress with huge puffed sleeves fashionable in Italy in the second and third decades of the sixteenth century.1 There is another version of this portrait in the Musée Granet in Aix-en-Provence cropped on all sides and inscribed at the upper right: LA ROYNE DE SICILE. A third version sold at Christie’s in London in 1966 is only bust length and without the hand. There is no evidence that I know that proves that either the Behrman’s painting or the Aix version is the painting that was seen at Fontainebleau in 1625. None of the photographs of these paintings show the signature mentioned in that inventory but such an inscription could be obscured by dirt or old varnish. Although from the evidence of the photographs none of these pictures seems to be by Rosso, no reasonable argument for or against his authorship should be made before the paintings are actually seen. It is very unlikely that the inscription identifying the sitter would originally have appeared in a portrait by Rosso as none of his portraits are so inscribed. Nor are other Italian and French portraits of the first half of the sixteenth century. Hence it would be a later addition. If the inscription is to be believed then the picture would represent Giovanna (Juana) IV, the widow of Ferdinand II, King of Naples and Sicily, or possibly her mother, Giovanna III, the widow of Ferdinand I. The mother died in 1517, her daughter in 1518.2 But would Rosso have painted either of these women so early in his career in Florence? If so, then his picture would eventually have found its way to France, where it received its inscription in French, possibly by 1625. Or is the sitter someone else, perhaps even, more than a decade later, the same Giovanna of Aragon painted by Raphael, who, while not actually a queen, was so called?3 In this case the picture would have been painted after Rosso left Florence and perhaps in Rome, and then taken to France. Why Rosso should have painted a picture of this woman, who lived until 1577, in France, I have not been able to discover. It is possible that the portrait identified as by Rosso in 1625 and identified as his in an inventory of the same year is the same picture that in 1692 was inventoried as A Greek Woman Dressed in Red (see L.66). 1 In addition to the Portrait of Giovanna of Aragon in the Louvre (on which see n. 3), see Correggio’s Portrait of Ginevra Rangone of 1517-1519 in St. Petersburg, Giulio Romano’s Portrait of Isabella d’Este of around 1524 at Hampton Court, Lotto’s Portrait of Lucina Brembati in Bergamo (Pope-Hennessy, 1966, 220-221, Fig. 245, 165, Fig. 182, and 205-206, Fig. 225), and Sarto’s Portrait of Lucrezia, the painting and the drawing, of around 1528 (Freedberg, 1963, I, Figs. 208-209, II, 175-176, no. 77). 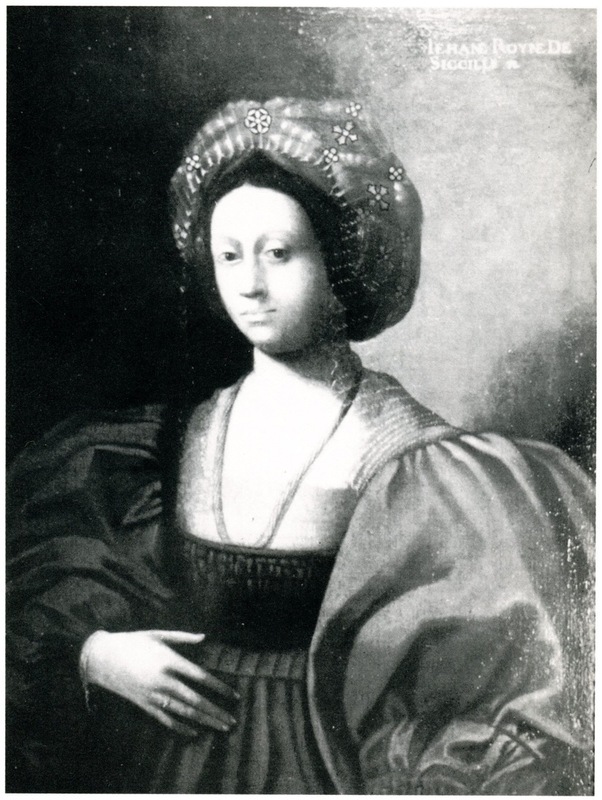 2 The “very admirable ladies” and “two remarkable queens” in Naples mentioned by Castiglione are identified as these two women by Singleton (Castiglione-Singleton, 1959, 238, 367, n. 24). 3 See Sylvie Béguin in Raphael dans les collections françaises, exh. cat., Paris, 1983, 98-101, no. 12, and Fig.